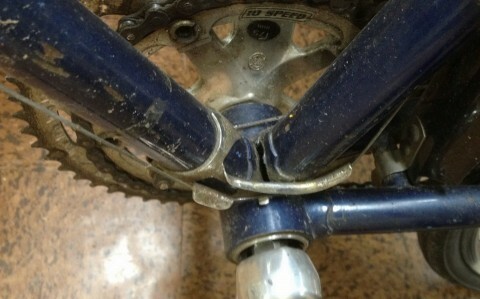 My brother-in-law reports the demise of his trusty commuter ride. How many of you keep your receipts for 48 years? One Mercier racing bicycle, age 48. Born 1970. Birth certificate attached. I was 17 when I bought it. 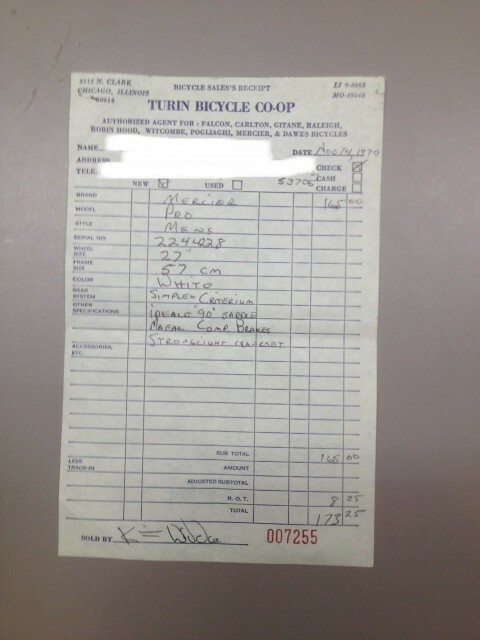 Note the telephone numbers for the bike shop on the sales receipt. Raced 1971-1973, including in the 1972 U.S. Road National Championships. Died today of a broken frame.